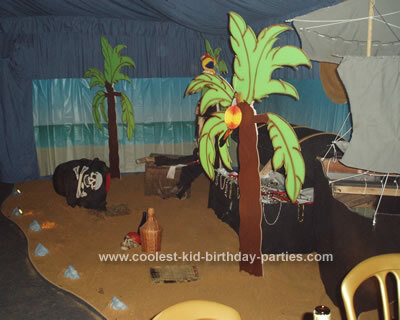 Here are the pirate party ideas from my daughter’s 18th this year. 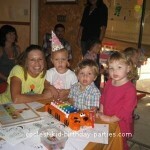 All the props were made especially for the party and most of our village attended. 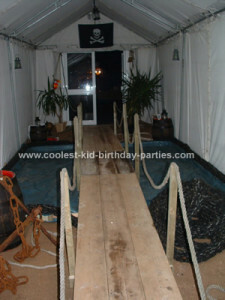 Only pirates, wenches and other suitably attired shipmates will be allowed on board. Non-pirates will be forced to walk the plank. Bring this invite with you, as it be your personal pass to the world of pirates. In order to decorate the tables, we made unique pirate treasure maps. No two maps were the same. Making them took nearly 6 months to make and almost all the guests were mentioned somewhere on the maps. I also used old wine bottles etc and melted different colored candle wax down the sides. One bottle was then put on each table. 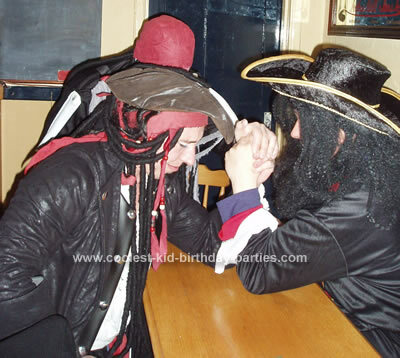 In addition, other pirate party ideas were gold chocolate coins, eye patches and wash off tattoos that were put on each of the tables as well. 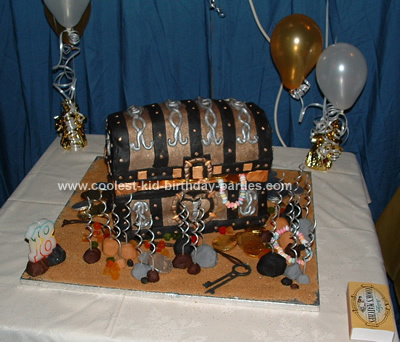 Also, I made the treasure chest cake and my daughter’s dress. The chest was loosely based on Davy Jones’ locker. The Treasure Island included two tones of sand specially brought in. And the island was lit with lights that looked like rocks. 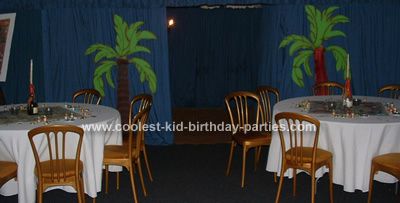 Also, my husband made the palm trees and treasure chest and also the crows nest. In order to bring pirate flair to the buffet, I even managed to track down cocktail sticks with little pirate flags on them. We also borrowed old oak barrels from a friend. 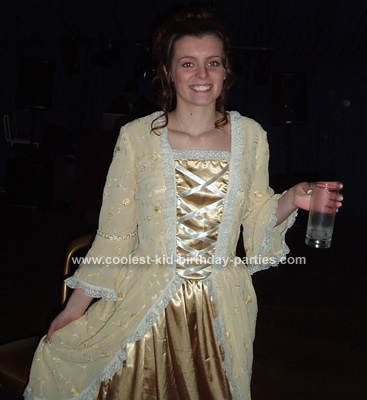 Consequently, these made superb bar tables. 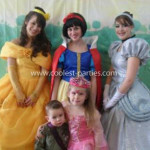 In conclusion, we had a fantastic time and everyone helped with their party ideas and made a great effort with all their costumes.